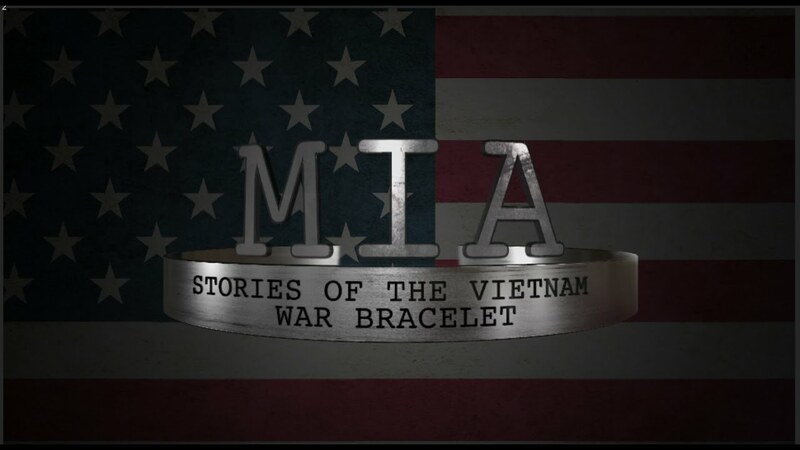 MIA: Stories of the Vietnam War Bracelet tells the story of Vietnam through the perspective of the soldiers who went missing, their families who suffered and the people who wore their bracelets. Hoping to raise awareness of the American soldiers who were missing in action, two college students created the POW/MIA Vietnam War Memorial bracelets in the 1970s. The bracelets were available for sale and bore the name of a soldier and the date he went missing. Today after almost 50 years, soldiers are still missing, and individuals still wear the bracelets. The film tells these stories. They are personal stories as shared by the family members of the soldiers and from the bracelet wearers as to why they did, and in some cases still do, wear the bracelet. We will acknowledge the work of the Joint POW/MIA Accounting Command (JPAC) in their continuous efforts to find the remains of soldiers including the subject of our first interview, Samuel E. Hewitt, a Marine, whose remains were found 44 years after he went missing.